Due to the low volume of trees left in our back fields, we will ONLY be running wagons Thanksgiving weekend and MAYBE the next weekend, depending on supply. After that, we will only have Pre-Cut trees for sale in the Front. Come out and TAG your tree during this 3 day weekend to come back for at a later date, or CUT & TAKE while you're here! 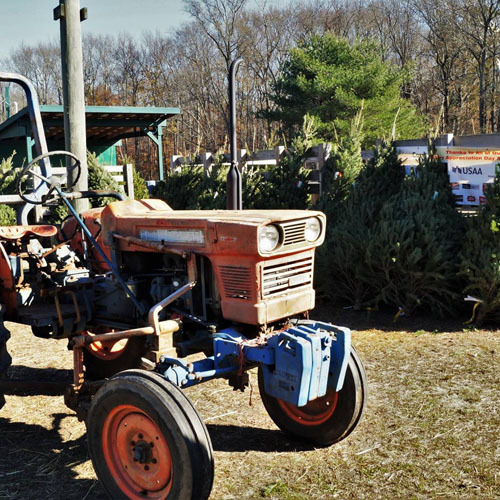 We grow Douglas Fir, Blue Spruce, Norway Spruce, and White Pine on our farm. The PRE-CUT Balsam Fir trees from Canada and the Fraser Fir trees from North Carolina will also be available for opening weekend, and throughout December. Stop in the front shop for pricing and details. 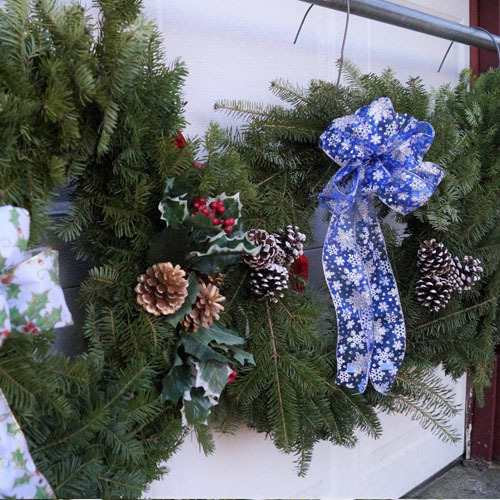 We will have 12 inch Balsam wreaths for sale, both plain and decorated. We will also be making grave blankets, mailbox arches and door swags. Be sure to come early and order to guarantee availability! *Due to the rising cost of shipping, we will not be carrying white pine roping or as big of a wreath selection as we have in the past.